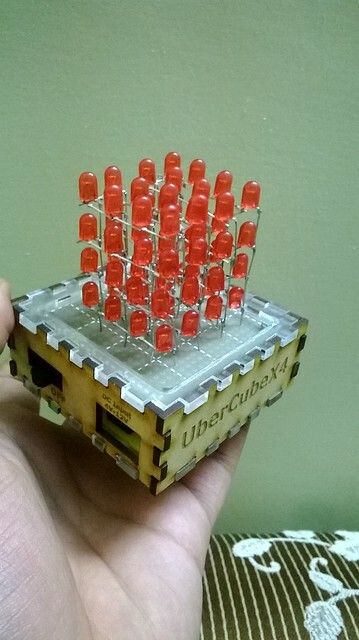 UberCubeX4- The portable LED Cube ! 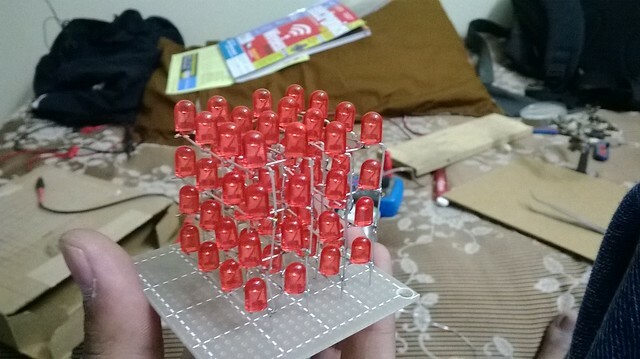 I recently made a led cube. It is a project i was dreaming to fiddle with for quite a while(years). I finally managed to make one. 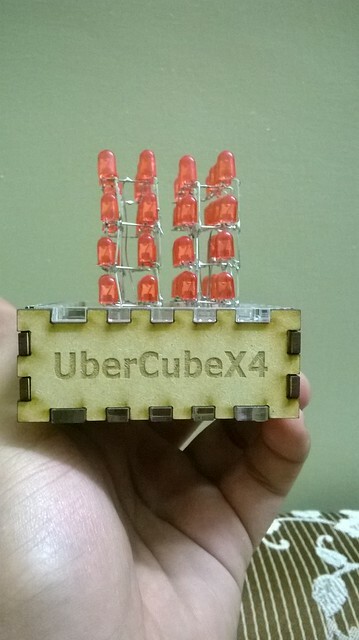 Here is the complete video of the demonstration.Its basically a 4x4x4 Led Cube with various patterns programmed into it. I made it during Diwali-The Indian Festival of lights. The entire build procedure is documented in the video. 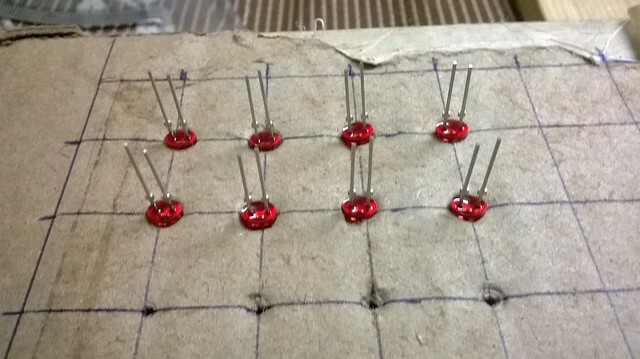 The process starts by arranging the LEDs in a uniformly spaced fashion. 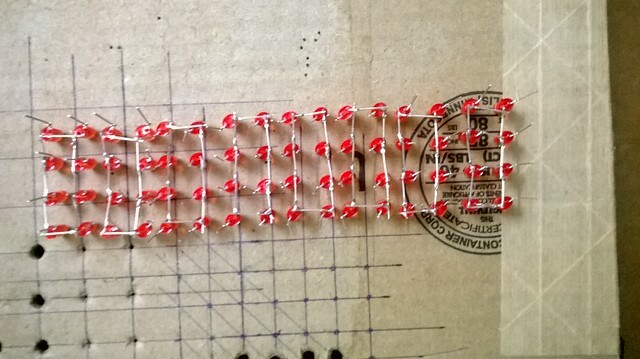 To do so, I used an old TI Samples Box and made a 2cm grid on it. 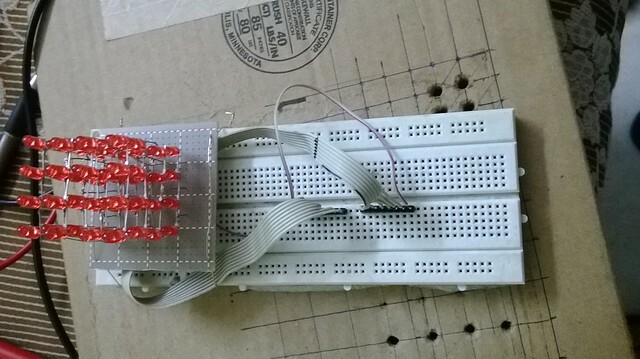 The grid resolution depends on the length of the LED leads, the ones that i have are pretty small. Now once in the jig, you arrange them as shown. Until you finally get 8 such combinations to obtain 2x 4x4x2 Cuboid which will ultimately make up a 4x4x4 . Some Hard work Required. Now stack them up on a perfboard and remember to drill mounting holes before hand to avoid your castle being demolished by some wayward drilling. 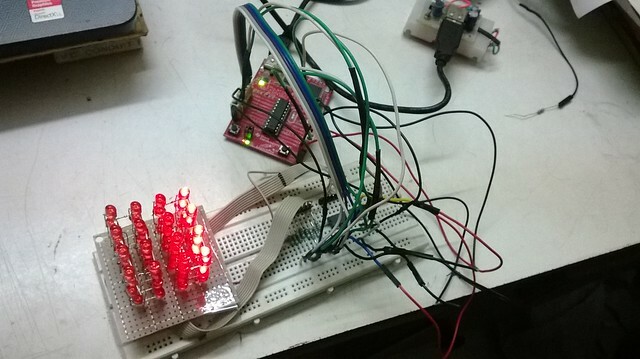 Since its always better to test the setup/circuit before going on the final assembling and play around with the code on the breadboard. We solder some headers to the Cube and embed them in the breadboard. The connections are such that all the steps of the two half-cubes 2X4 which are negatives are driven by the darlington and hence connected together on one header. The corresponding column of each half cube is connected and brought to the header. The MCU enters the scene. 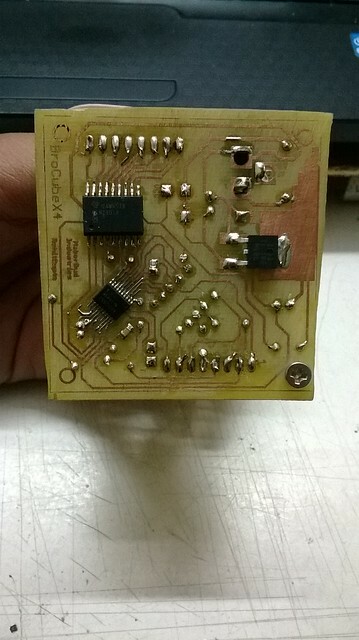 The MCU of choice is TI MSP430g2553 which along with the ULN2803 driver will run the cube. Once the circuit and code is almost final. 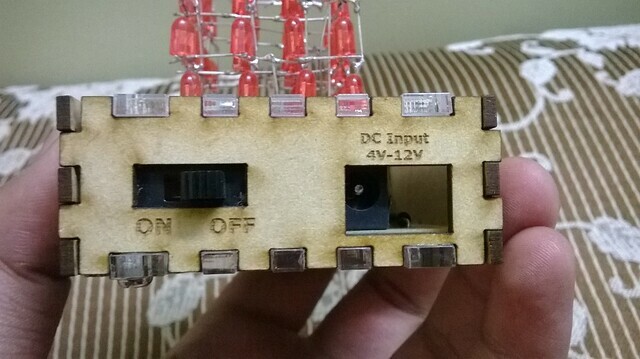 I designed the PCB (All SMD ! 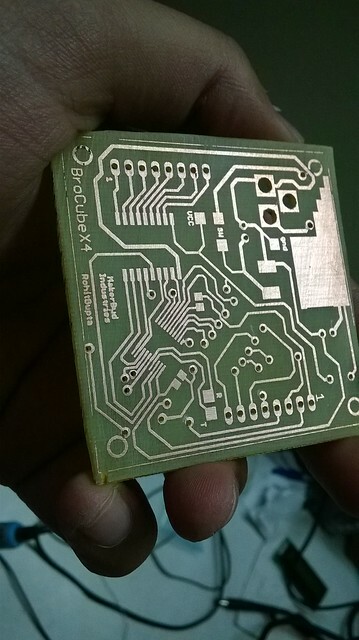 Yeah \m/ ) using Eagle and etched the same to the PCB. The PCB looked beautiful and the fragile project deserved the more stronger structure. So, I designed an outer cover for the base to be laser cut in a combination of wood(2.8mm) and acrylic(3mm). Power Switch and DC Jack for power. The source code is available on github .